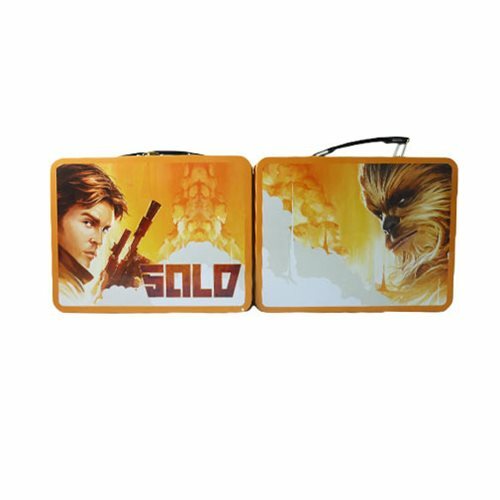 If Han Solo's your man, 2018's Solo: A Star Wars Story is your movie and this Star Wars Solo Tin Tote should be your tote. It's not as tough as the Millennium Falcon and probably won't make the Kessel Run in less than twelve parsecs. but it is made of metal and certainly more colorful. Whether holding your lunch or storing some gear, it's sure to please! Measures 9-inches wide x 7 1/2-inches tall x 3 1/2-inches.